Little Mairead was thought to be well on her way to recovery when she suddenly passed away. 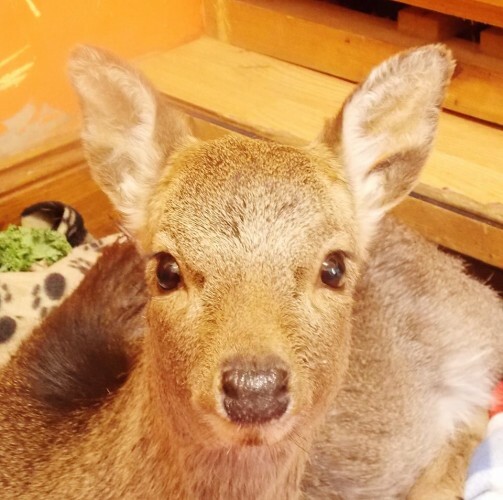 MAIRÉAD, THE YOUNG Sika deer found shot in a ditch in January, died last night. The 9-month-old calf had been attempting to recover from a gunshot wound to the back and was thought to be making good progress. However, she suddenly took a turn for the worse and passed away. “We don’t know for sure what happened to her”, Denis McCarthy of Animal Magic Wildlife Rescue told DailyEdge.ie. She was in great form Monday night, she was getting movement back in her legs and her wound looked like it was healing well, but on Tuesday morning she wasn’t right. The young deer – who was found in a ditch in Glencarney, Co. Cork by farmer Micheál O’Keefe – seemed very subdued. Animal Magic suspects that her injury may have been more severe that they thought. A lot of puss came from the wound and she went downhill very fast. We suspect blood poisoning or lead poisoning but the only sure way to find out is with a post mortem and we are not interested in doing that. McCarthy said that Animal Magic is absolutely devastated to have lost the little deer but “wouldn’t change a thing” about the past two and a half weeks. You try not to get attached but it’s just not possible. She was different from any other creature: Her will to live was incredible. 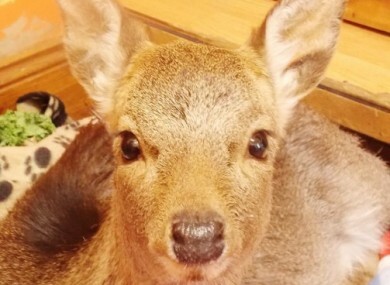 Email “Deer calf Mairead found shot in ditch dies”. Feedback on “Deer calf Mairead found shot in ditch dies”.